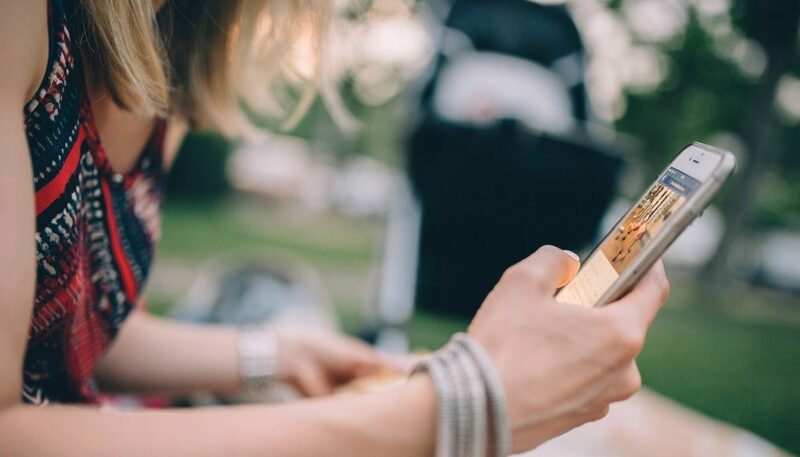 Are you measuring mobile performance correctly? 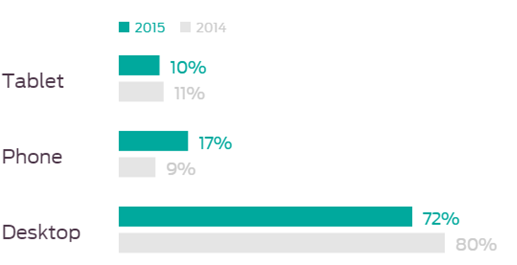 A huge focus in the digital world over the past several years has been mobile. If you have been optimising your mobile site, implementing mobile and cross-device tracking and creating mobile-only ad campaigns, you’ve been doing it right. However, if you own an ecommerce website, operate a local business or franchise, or operate in the retail sector, chances are you may have been measuring mobile performance badly. We are advised and taught by industry gurus and common sense to segment traffic and measure device performance separately. For example, if you run an accountancy firm and generate leads through both your desktop and mobile sites, it makes sense to measure the performance of them separately. After all, if you take average figures for the two sites, the results will be skewed, right? Wrong. Sort of. Let me explain. 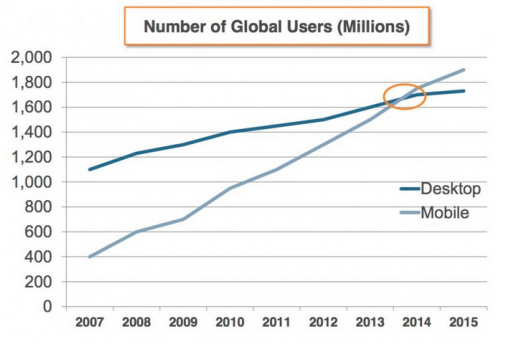 Here is a graph showing how, in 2014, the number of mobile users surpassed the number of desktop users. 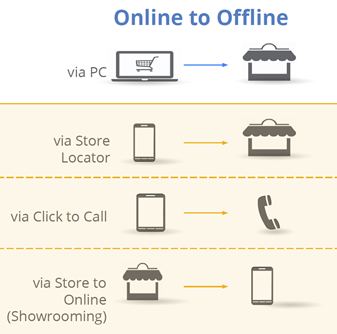 So naturally you would expect mobile conversions to be surpassing desktop conversions by now. As you can see, desktop orders dominate by a long way, despite the huge growth of mobile traffic. 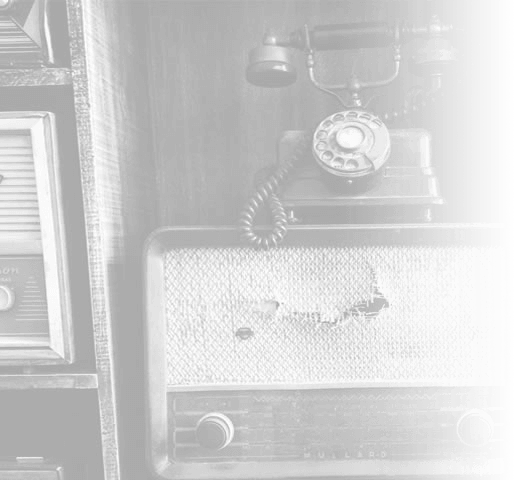 Your desktop and mobile websites and campaigns play different roles in your digital strategy, or at least, they should. Mobiles are not being used – contrary to common knowledge – as handheld replacements for PCs or laptops; in fact, they are being used mostly for research, which could explain why mobile conversions and conversion rates aren’t increasing. This is completely inaccurate and does not reflect the true value of the mobile visit. Because of this, you cannot measure mobile and desktop traffic in the same way and separately; you need to measure mobile traffic as part of the user journey and measure the value of your conversions against the overall user journey. 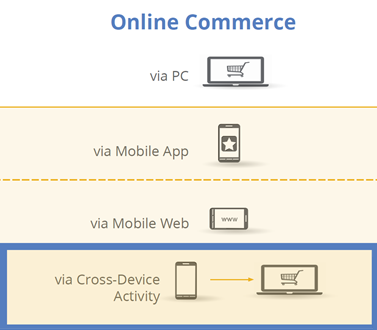 Your best option is set up cross-device tracking. This will enable you to assign goal values to mobile visits if the user has switched devices to complete their user journey and made a purchase. Instead of measuring mobile traffic vs desktop traffic, you should use different KPIs to measure the performance of your mobile campaigns. For example, you can use visibility and engagement metrics such as mobile impressions and clicks, analyse the user journey for mobiles, and look for micro-conversions such as clicking on “read more” links for product descriptions and “add to basket”. Some other examples of micro-conversions are PDF downloads, long session durations, creation of accounts and email signups. Tracking these activities will give you a good insight into how your visitors use mobiles.